Thorough legal analysis, setting clear and legally achievable objectives, careful attention, honesty and efficiency. We, the Solt & Partners Attorney’s Partnership are prepared to provide you or your enterprise with assistance in any matter which may require a lawyer’s involvement when you encounter it. We have the knowledge, skills and experience you need. That is reflected in our eighty years of experience in legal practice, the six hundred legal proceedings, the two thousand company cases, the eight thousand contracts and our thirty thousand Clients. While some say that most of legal terminology is beyond comprehension and one can only get lost in the labyrinth of legislative provisions, our creed is that professionals can certainly find shortcuts and easy-to-grasp wording, and must use their knowledge and experience to efficiently represent, and advocate for, Clients’ interests, rather than trying to fascinate them. That is what we strive for and pursue in each one of our cases. The Solt & Partners Attorney’s Partnership was established in 2008, in accordance with the Hungarian Bar Association’s regulation on association of lawyers, with the objective to allow partners to permanently contribute to delivering assignments. While acting on behalf of our legal partnership, every member of our partnership is authorised to use both the name “Solt & Partners” and the term “Partnership”. With our philosophy, we apply a straightforward and Client-oriented approach to legal issues. We aim at building long-term relations with our Clients since we believe that trust-based legal relations lasting for decades are as valuable for us as for our Clients. Although our Clientele is made up primarily of domestic and international small and medium-sized enterprises, we provide legal advice to, and represent in legal proceedings, a number of multinational corporations running operations in Hungary, as well as local governments and public institutions. A wide range of our services from concluding a simple contract up to delivering entire projects is available to our long-term Clients who require comprehensive services. Our basic principle is that team effort is the key to efficient work. We believe that providing services to Clients with professionalism is based on integrated efforts by the different specialists of different fields of law. That is exactly why we have created our partnership. Our partnership works in Hungarian and English languages. Naturally, there are things that we ourselves cannot provide to our Clients. In such cases we help Clients find and hire professionals with the required competencies, under proper terms and conditions. Therefore, we cooperate with foreign law firms, and legal experts of particular areas of law, as well as experts outside of the legal profession. Our law office is located in the middle of the city, in an easy-to-access, elegant and exclusive area with comfortable parking facilities. Although our Clientele is made up primarily of domestic and international small and medium-sized enterprises, we provide legal advice and representation to a number of multinational corporations running operations in Hungary, as well as local governments and budgetary entities. In accordance with the Hungarian Bar Association’s position statement on the contents of attorneys' websites, we refrain from making references to particular cases handled, or Clients represented, by our law firm. Should you have any questions, please, feel free to contact any of our colleagues via phone or e-mail. We will be glad to respond to your inquiries. In addition to serving our Clients, we are committed to working for the public good and for people in need. Solt & Partners Attorney’s Partnership occasionally offers legal services to not-for-profit organisations on a pro bono or reduced rate basis, and administers cases of private individuals in need, for a symbolic amount. We never let our chosen core values (such as thorough legal analysis, setting clear and legally achievable objectives, careful attention and honesty) be compromised even when working on pro bono cases. If you represent a non-profit organisation registered and operating in Hungary, which needs legal assistance, please, feel free to contact us. 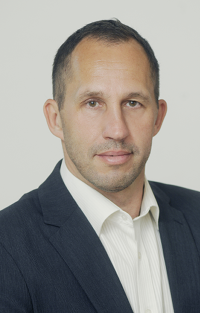 Dr. Horváth graduated with a Juris Doctor degree from the Law Faculty of Eötvös Loránd University, Budapest in 1991. She worked as a Ministry Counsel in the area of economic legislation, and then she spent several years abroad where she gained wide experiences about the legal practices of international law offices. She is specialised mainly in corporate law, assignments related to the not-for-profit sector, real property law and family law. She is a Master of Laws (LL. M.) specialised in children’s rights. Dr. Káposztás graduated from the Law Faculty of Pázmány Péter Catholic University, Budapest in 2005 (LL. D.), and has been working as an attorney at law since his registration at the Budapest Bar Association in 2011. Having gained legal experiences as trainee lawyer and apprentice attorney under mastery of management, he created his own law firm, which is a member of the Solt & Partners Attorney’s Partnership. 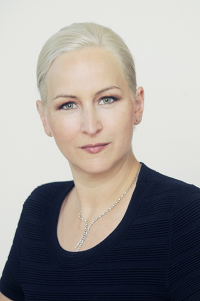 She is specialised primarily in real estate law, various legal activities related to it, as well as corporate affairs and the legal conduct of large-scale debt collection. Dr. Olt is registered as an attorney at law at Pécs Bar Association. He graduated from the Law Faculty of Miskolc University in 2006 (LL. D.). After several years of work is public administration, he gained legal experiences in major domestic law firms. He has been working for a long time with certain affairs with the Solt & Partners Attorney’s Partnership and decided to join in 2017. He specializes in criminal law, business law and real property law. Dr. Pintér graduated from the Law Faculty of Pázmány Péter Catholic University, Budapest in 2008 (LL. D.), and has been working as an attorney at law since his registration at the Budapest Bar Association in 2014. Dr. Solt graduated from the Law Faculty of Eötvös Loránd University, Budapest in 1993 (LL. 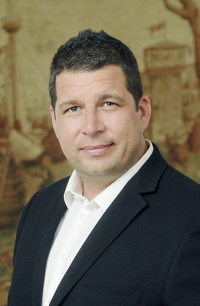 D.), and has been working as an attorney at law since his registration at the Budapest Bar Association in 1996. Having gained wide legal experiences at major Hungarian law firms and practising as an individual lawyer for a short time, he founded his own Law Office, specialised mainly in data protection, labour law as well as in legal implementation of international securities transactions and foreign trade deals. He is a certified DPO. Since the time when he wrote his thesis about this subject matter, Dr. Péter Solt has been working with legal matters related to data protection, and has prepared several expert positions on data protection for the Ministry of Education. It was before the adoption of the European Union’s new General Data Protection Regulation (GDPR) that he started developing data protection policies for various enterprises. After the regulation entered into force, he was assigned by numerous companies and public entities to complete the legal duties required for them to prepare for GDPR compliance. As, in addition to legal duties, IT-related tasks also belong to the scope of assuring GDPR compliance, the Solt & Partners Attorney’s Partnership assumes to deliver complete compliance projects by involving IT subcontractors. The Solt & Partners Attorney’s Partnership has gained a wide range of experiences in economic and “white collar” crimes, for it is mainly those crime types in which we provide legal counselling and represent victims or defendants, from the launch of an investigation up to the final judgement. The Solt & Partners Attorney’s Partnership prepares and countersigns sales contracts of real properties and other agreements related to real estates (such as option contracts, lease contracts, usage agreements) for both companies and private individuals represented by our partnership, and acts on their behalf in the competent Land Agency’s procedures. As for cases related to real properties, our Office provides a helping hand in resolving issues the may arise in particular in the establishment and operation of condominiums, in preparing documents required for an amendment to the deeds of foundation of a block of flats, along with the complete administration in procedures with the competent authorities. Furthermore, we regularly provide advice to our Clients in the field of their complex purchases of real estates and investments for development purposes. Those activities include a preliminary scrutiny of the legal status of the real estates in question, preparation of supplementary contracts necessary on the top of the sale and purchase agreement and the enforcement of tax law considerations. It is the Solt & Partners Attorney’s Partnership’s high priority objective to build long-term relationships with our Clientele. Therefore, we strive to provide comprehensive legal services to our Clients, covering the compilation of simple contracts within the scope of daily workflow, the solution of corporate and labour-related legal matters as well as transactions related to real estates and securities. The Solt & Partners Attorney’s Partnership regularly provides legal advice to our corporate and private Clients in all matters related to labour law. On our Clients’ request, we prepare, or provide professional opinion about, their labour contracts, and assume to develop collective agreements and all other pertaining documents to them. Furthermore, we contribute to resolving legal disputes (possibly in an amicable way) related to employer’s responsibilities/ liabilities and to the termination of employment contracts, and, if required, we represent our Clients in labour court proceedings. We fulfil legal duties in connection with collective redundancies and represent our Clients in labour inspections. On request we also undertake to conduct complex labour audits (from legal perspective). The Solt & Partners Attorney’s Partnership assumes to represent corporate and private Clients in the most diverse economic, civil and administrative cases before domestic courts and other administrative bodies. Our Office strives to resolve legal disputes primarily by amicable reconciliation. Before a Client enters an appearance, we carefully consider their realistic prospects and inform them about the achievable results, as well as about the estimated duration and expenses of legal procedures. We also undertake the representation of our Clients before local and (provided that the language used is English) international permanent and ad hoc arbitration proceedings. Our partnership offers assistance and counselling to both local and foreign companies in connection with all corporate matters. We undertake to prepare and countersign all the legal documents required for establishing or modifying a company (including the company’ transformation and termination) and to represent them in proceedings before a registration court. We also assume representation in procedures before the National Tax and Customs Administration of Hungary (NTCA), the National Bank of Hungary (MNB) or any other authority. One of Solt & Partners Attorney’s Partnership’s specialty is family law. In working with family cases, our primary goal is always to promote out-of-court settlements. We are at your service in providing legal advice and attorney support. We have considerable experience in drafting, and providing legal advice on, marital and cohabitation property agreements as well as on agreements on the termination of tenancy in common and on the settlement of ancillary issues. In any case, we recommend such content in an agreement which mutually respects the best interests of parties and of their children. Besides family law cases, our partnership is also involved in the enforcement of children’s rights. 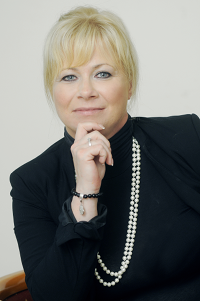 Dr. Henrietta Horváth is specialized in children's rights. This website is operated by Solt & Partners Attorney’s Partnership, in line with acts and by-laws applicable to attorneys-at-law in Hungary, which rules, together with information on general rights of clients, are available on the following website: www.magyarugyvedikamara.hu.